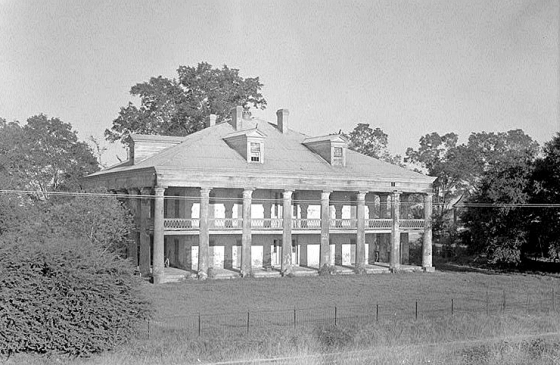 Uncle Sam Plantation, originally known as Constancia, was a historic sugar plantation and elaborate Greek Revival-style plantation mansion on the Mississippi River near Convent in St. James Parish, Louisiana. It was established during the 1810s, with the main house and numerous outbuildings built by Samuel Pierre Auguste Fagot between 1829–1843. 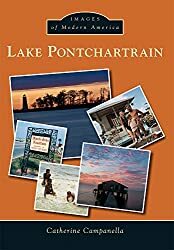 Once renowned as one of the most intact and architecturally unified plantation complexes in the Southeastern United States, all of the structures were demolished to make way for construction of a new river levee in 1940. It was recorded by the Historic American Buildings Survey prior to its destruction. The Pontchartrain Levee District commissioners determined that the only way to fix structural problems in the river levee would be to build a new one over the site of the Uncle Sam Plantation complex. Demolition quickly followed. On March 12, 1940, as demolition was nearing completion, the United States Army Corps of Engineers office in New Orleans received a telegram from the director of the National Park Service asking that demolition be delayed until an investigation could be completed to determine if the site might be given National Monument or National Historic Site status. However, it was too late to save the plantation complex. Andrew Jackson Young, born March 12, 1932 in New Orleans, is an American politician, diplomat, activist and pastor from Georgia. He has served as a Congressman from Georgia's 5th congressional district, the United States Ambassador to the United Nations, and Mayor of Atlanta. He served as President of the National Council of Churches USA, was a member of the Southern Christian Leadership Conference (SCLC) during the 1960s Civil Rights Movement, and was a supporter and friend of Dr. Martin Luther King, Jr. Since leaving political office in 1989, Young has founded or served in a large number of organizations founded on public policy, political lobbying and international relations, with a special focus on Africa. Wardell Quezergue (March 12, 1930 – September 6, 2011) was an American music arranger, producer and bandleader, known among New Orleans musicians as the “Creole Beethoven”. Wardell was born into a musical family with his father, Sidney Quezergue Sr., being a guitar player. Wardell was the second youngest of three brothers: Sidney Quezergue Jr., Leo Quezergue, and Arlen Quezergue. His oldest two brothers, Sidney (Trumpet) and Leo (Drums), were jazz musicians as well.